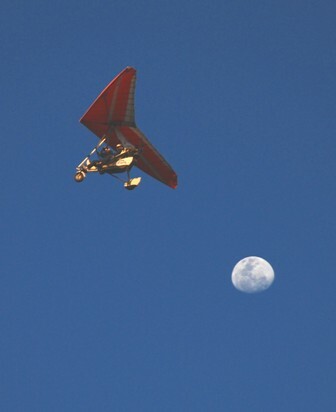 Do you know "micro light flight"? It’s something like a hang glider with a small engine. One pilot and one passenger with a full face helmet. Sitting on a small seat with a single seat belt around the waist. It’s quite a simple aircraft. 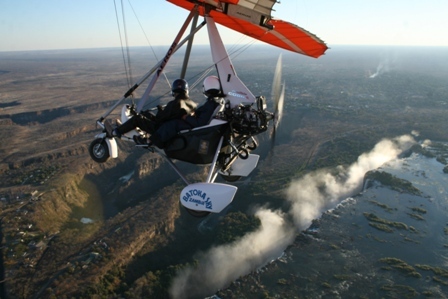 I flew over the Victoria Falls with it. It was 30 minutes total - 15 minutes watching the falls and 15 minutes of the safari-game flight. There is nothing between the Victoria Falls and me. The fall is quite a spectacle from the sky. It looks like a huge crack of mother earth. An extremely wide river runs into it and after that many zigzag gouges go on. They are old falls and now a new fall no. 7 is forming. All in all, it’s absolutely amazing. The first 3 minutes is extremely scary, more than sky diving. I see the gigantic fall just under my body, which looks like is going to swallow me. If the nonchalant looks pilot does something wrong, we will fall off to Zambezi River without parachute, which means my life is over then. The pilot is trying to spot many animals and never mind whether the aircraft is tilted or not. I saw hippos, elephants, giraffes, zebras, buffalos, wild beasts, crocodiles and so on. 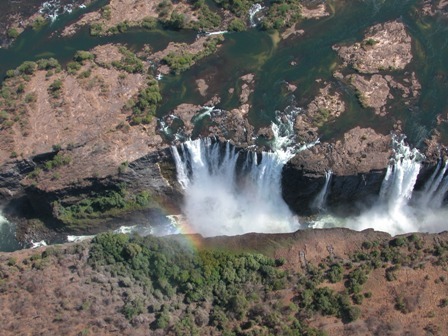 The best thing was I got an idea of the entire Victoria Falls and the endless land around them. That was one of the moments that I felt how wonderful Mother Nature is. It was a beautiful day in Cape Town. So I went to Kristen bosh Garden for a walk. I started walking happily in the fresh air under the lovely sunshine. No one and no sigh around there but a path which was well paved and there was no fork. I just walked along the path. It was getting narrow and shadowy but I kept walking. It was getting steeper and steeper but I kept walking. I found four wooden ladders at the end of the path. That made me think a little, “Hmm, odd” but I kept going. After the ladder, all of sudden the path ended. That made me think more, “Weird, but there was no intersection before” so I kept going. Climbing up a lot of rocks in the narrow valley for a while, I hit the path again. Following the path for some time, I finally found the sign. That was the moment I realized I had been actually hiking Skelton Gorges. This means my leisurely easy walk turned out to be four hours hiking up to Table Mountain. Oh well, my life had full of unexpected things. 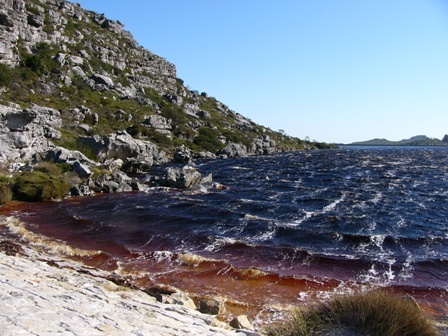 I was so surprised when I saw the dark brown color lake surrounded by white sand at the top of mountain. A lot of ripples on the surface of the lake made by unbelievably strong wind and it surely was a surrealistic scenery. I came down another route from there. Over all, it was a good hiking but it was made by an accident. It was too late to know that I should have brought some snacks and drinks in my daypack. Also it was too late to know that some male hikers were mugged there just before that day. It’s difficult to select a few from all those pictures of the African trip.Today I will show you some shocking photos from my safari. Who did it to that big elephant? 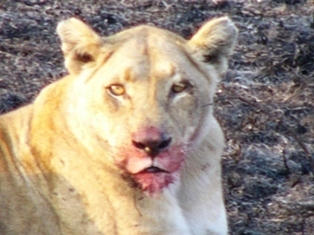 Look at that bloody mouth. Obviously she did it. Hello everyone, how have you been? I traveled in Africa this summer and just came back at the end of August. Since the new semester started, my life has been hectic. I have my luggage still unpacked on the cot and haven’t checked most of my pictures yet. Anyway, it was one of the best trips I’ve ever had and I had a great time there. So let me share it with you a little bit. I call it “The broken trip” because many things around me have been breaking since I went on this trip. The first one was my expensive Sorromon shoes. Pale blue beauty. The next one was my expensive Teva sandal. And then my Jackwolfskin daypack was broken. My hair brush, reversible bathing suit. My right toe nail came off in the middle of the trip. Then my front teeth chipped. What’s wrong with me? When the trip was over and I came back to my apartment, my door key was broken. I couldn’t come into my room and had to stay at the smelly hotel room for night. Then I got a broken heart on the following weekend. Don’t ask me what happened. It was a huge disappointment for me and I was in a state for a while. But it’s not the end of the story. The next week the door key was broken again and also the telephone (land line) was broken. Oh boy. It seems to never end. Maybe it’s a time for change. I should throw away old shoes and things I used to have. Then buy new shoes and try to do different things. The whole universe wants me to change that’s why my stuffs were broken a lot, which make sense to me. What? Not to you? Africa was beautiful. Nature was just amazing. I started my trip from Cape Town and went around southern Africa clockwise. Headed up the west coast and canoed the Orange River and saw the sun set on Fish river canyon. Then I went through several kinds of desert in Namibia. After a safari in Etosha NP, then I stayed in real bush camp in gorgeous Okavango delta. So many great places follows. 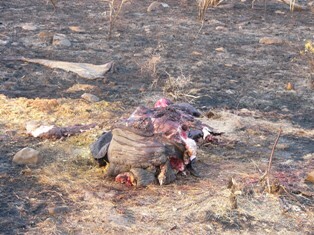 Chobe NP. Victoria Falls. 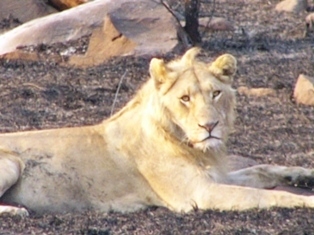 Hwange NP. 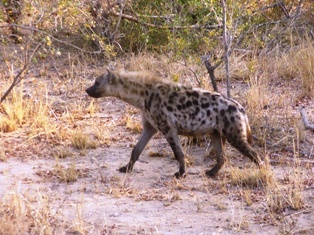 Matobo NP. Limpopo valley. Kruger NP. Blyde Canyon. Zululand. Drakensberg. GoldenGate NP. 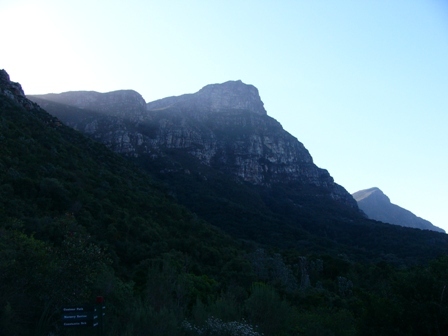 Prince Alfred’s Pass. Knysna lagoon. Tsitsikamma coastal NP and so on. 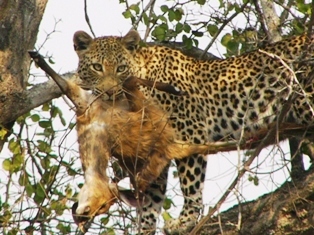 I saw countless animals on many safaris and bush walkings. A lot of wild animals on the savanna including “The Big five”. Lots of sea animals too, like seals, penguins, dolphins, whales. I enjoyed the variety of nature very much. I couldn’t expect more. It was really an awesome trip. I’ll show you some of my pictures in the next entry but one of my co-travelers sent me his link, so have a look at his great pictures.